Every year, design experts predict which home trends have staying power and which won’t last long after you pop the cork for your New Year’s Eve champagne toast. It’s good news for people who can’t stand shiplap and bad news for anyone who spent thousands trying to perfect the modern farmhouse: no trend can last forever. Sorry, Joanna Gaines. Think about it. There was once a time when people thought it was a good idea to put carpets over hardwood floors. Seriously! Every trend has a beginning and an end. And while not every home décor idea will come back in style (we can probably let inflatable furniture go forever), there are many that will go out and come back in again. Who would have thought midcentury modern would become cool again? Besides Don Draper? 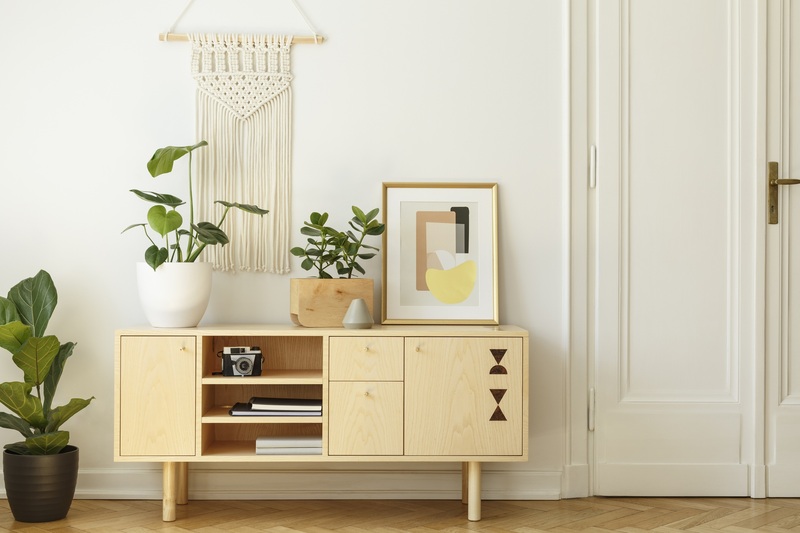 Ahead, check out the home trends you see everywhere now that no one will be doing in 2019. Bad news for Fixer Upper fans – the whole farmhouse chic thing is beyond played out and probably won’t be nearly as popular in 2019. Now that the stores are overly saturated with every kind of farmhouse accent imaginable, the whole trend is on a downward trend. It’s time for all those farmhouse fans to branch out and try a new aesthetic. Next: People are overspending on this. Replacing outdated sofas, dining tables, and dining sets can become a pricey proposition. Despite the costs, home renovators were encouraged to overhaul their spaces, often for many thousands of dollars. According to Modsy, an online design firm, more customers lately are interested in updating cheaper accessories rather than big ticket items. Pillows, rugs, lamps, coffee tables, and other smaller items can make the whole house feel fresh and won’t cost a fortune. Next: This color won’t be sticking around in 2019. Not quite pink and not quite peach, the millennial pink trend took over home décor in 2018. But for as popular as it once was, millennial pink is over now. 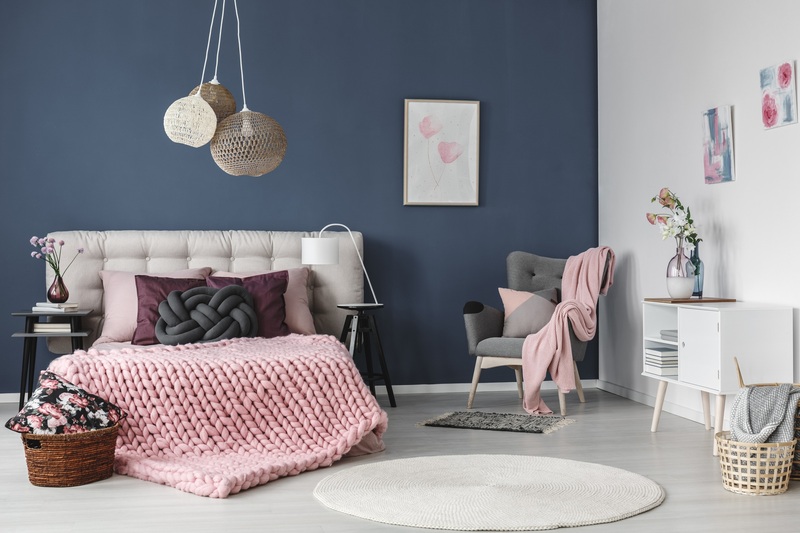 According to Modsy, blues and neutrals are more popular now, but pastels (which is technically the umbrella millennial pink falls under) is one of the least desired options. Next: Using too many of these is a mistake. The succulents trend was alive in well in 2018, but now things have gotten a little out of control. 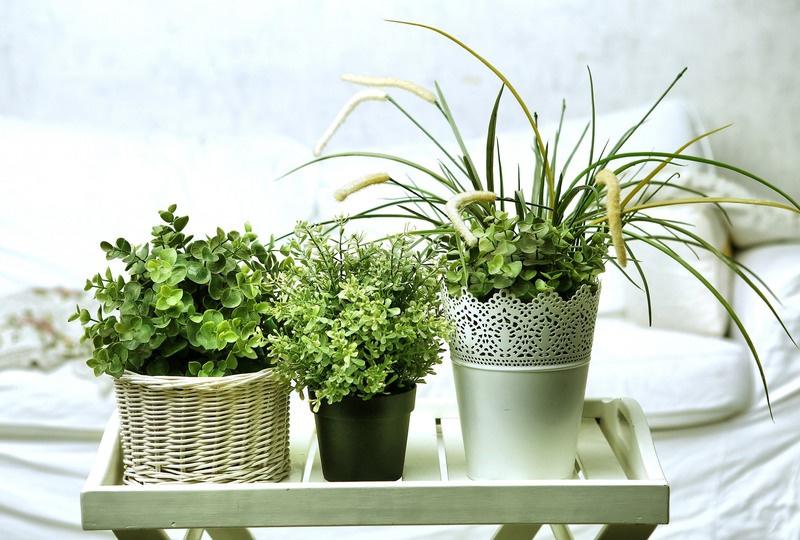 A few cleverly placed plants make your home look and feel amazing. But there’s a limit. If your living room resembles a tropical jungle or your windowsill is so covered in succulents you can’t see it anymore, it might be time to scale back. Next: This cheesy trend has been dying for a while. 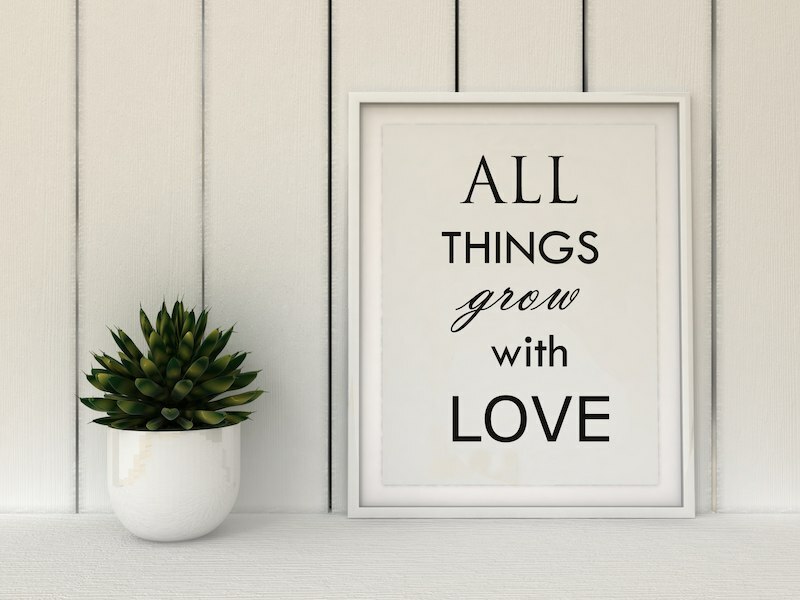 Rifle through the décor section of your local craft store or Target and no doubt you’ll find plenty of word art signs emblazoned with words or phrases. Joanna Gaines is notorious for using this kind of décor in her remodels and helped popularize word art, especially farmhouse inspired signs. But sometimes you can say more with a photo than you can with words. A lot of word art is trite, which is why so many people are moving away from this overplayed decorating trend. Next: This trend is all over Instagram, but enough is enough. Palm print wallpaper looks great on Instagram. But there comes a point when everyone’s doing it, and anything that makes a statement that huge is unfortunately bound to become out-of-date fairly quickly. Wallpaper might still be trending, but as for those over-the-top palm leaf prints, it’s time to let them go. 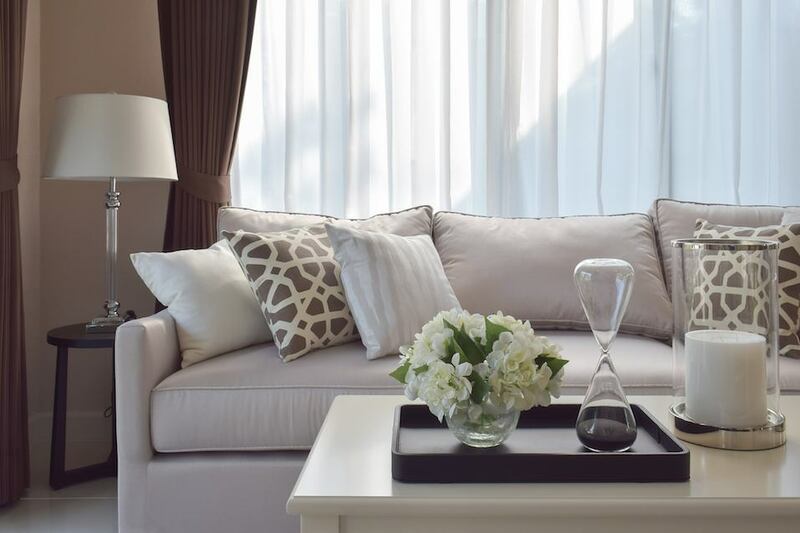 There are more than fifty shades of gray and every single one was used in home décor in 2018. Gray walls became synonymous with style and everyone eagerly jumped on the bandwagon. The only problem? Gray walls quickly became overplayed. 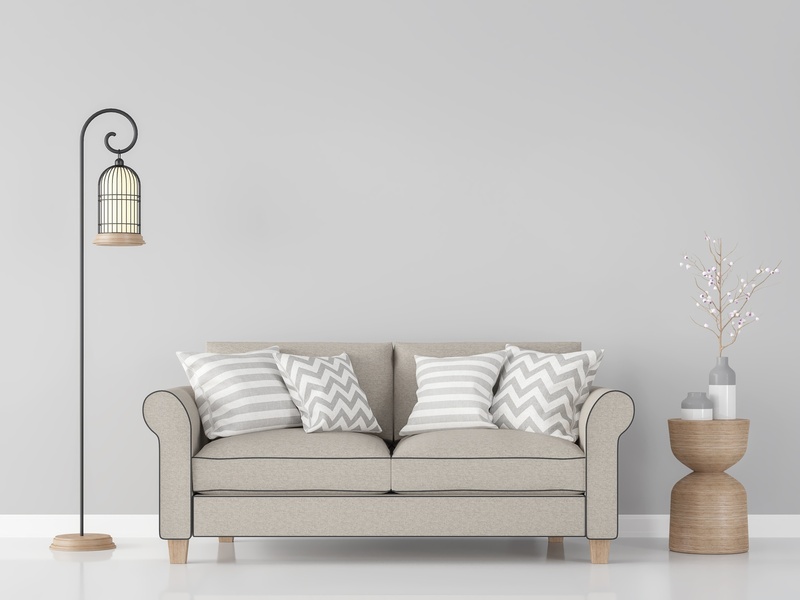 Neutral colors will always have a place in your home, but gray is on the decline for 2019. When in doubt, install white subway tile, right? Well, not exactly. Subway tile is one of those design elements that will always be popular because it’s cheap and easy to incoporate just about anywhere. But it also makes your home look like everyone else’s. 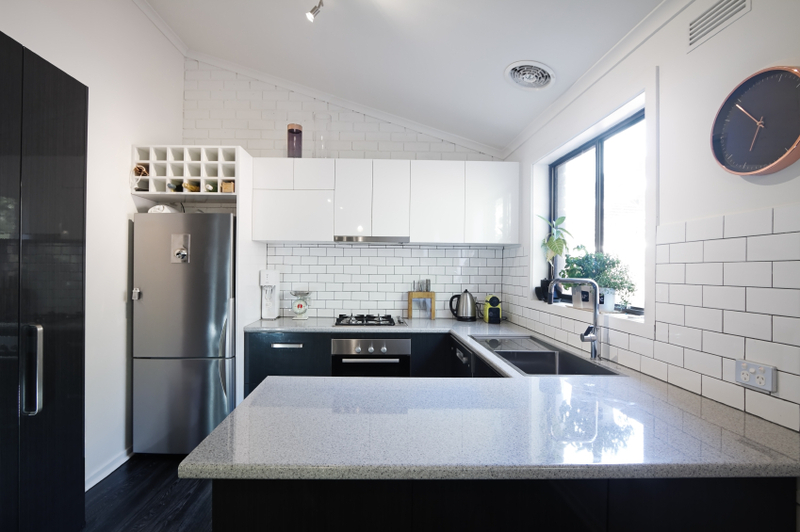 In 2019, home trend experts predict that more colorful, unique backsplashes will take the place of plain subway tile. Next: This 70s style decor was cool again for about 10 minutes. Speaking of trends coming back in style… macramé wall art made a big comeback in 2018 and started gracing all the trendiest homes. But as popular as macramé was for a moment, it’s now becoming oversaturated. Rather than choosing trendy art, pick pieces that mean something to you personally instead. Next: It’s OK to own more than one single chair. Getting rid of clutter is always advisable. But paring the room down too much makes your home appear sterile and uninviting. Colorful accessories, layered looks, and comfortable spaces are trending for 2019. It’s a lot more realistic and livable than the extreme minimalist looks of last year. Next: Branch out on the finishes you’re using. 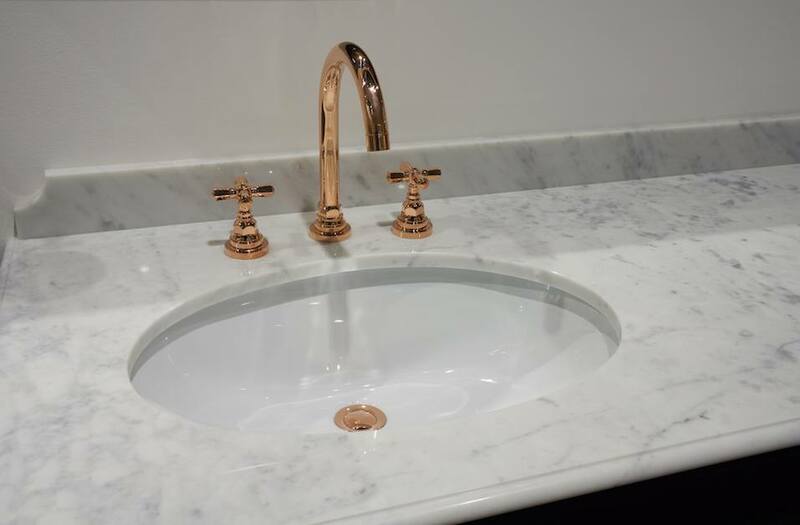 Copper looks classy, it’s true. But too much of a good thing is bound to inspire backlash. 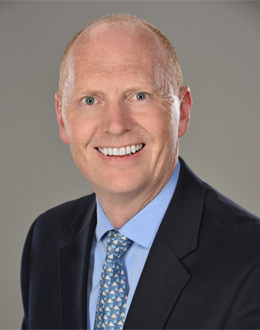 Design experts in 2019 recommend mixing metals so everything doesn’t look too matchy-matchy. Choose three or four finishes you like and intersperse them throughout your whole home for a cohesive feel. Next: You might think this is necessary for your living room, but it’s not. 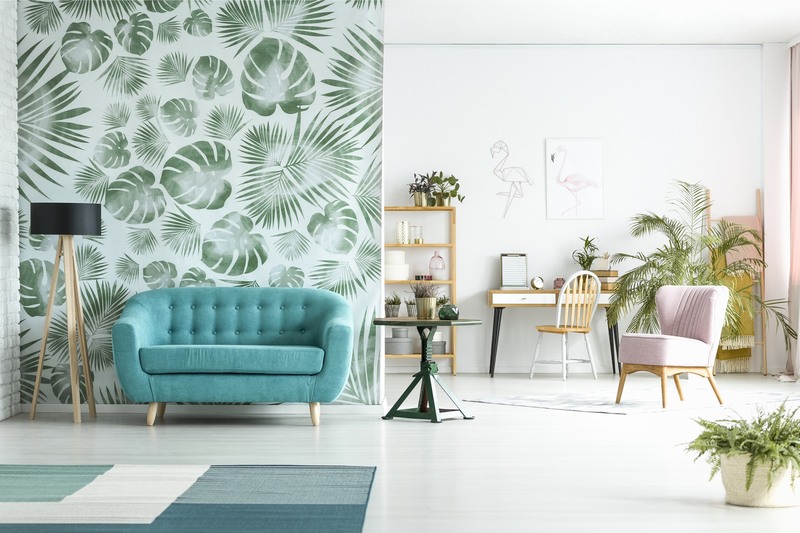 Whether it’s wallpaper, a bright paint color, or a photo gallery, creating an intentional accent wall is going out of style in 2019. Instead, home decorators are predicting that all the walls will match and focal points will come from decorative accessories instead. Next: The kitchen is changing for 2019. 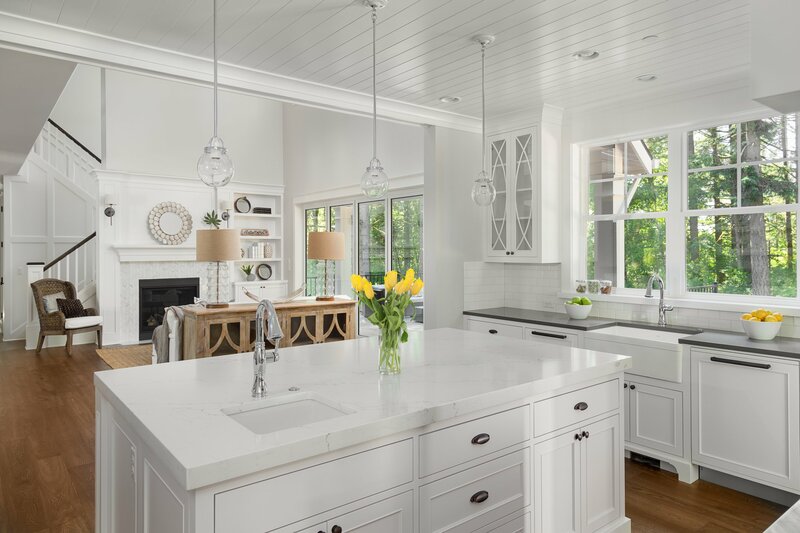 Rich cherry wood cabinets had their heyday in the 90s and 2000s, but they made a comeback in 2018 as an alternative to the totally overused white kitchens. 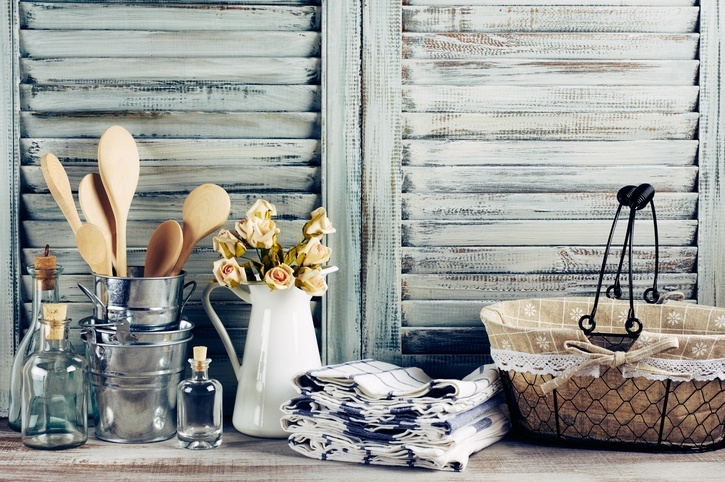 Now, painted cabinets in hues like gray, blue, and green are trending instead. Next: This is an unexpected change for countertops. In 2018, the solution to every design problem seemed to be the same: Make it white! Countertops were no exception. No matter what the material, everyone insisted on choosing lighter-hued counters in kitchens and bathrooms. But that might change now. 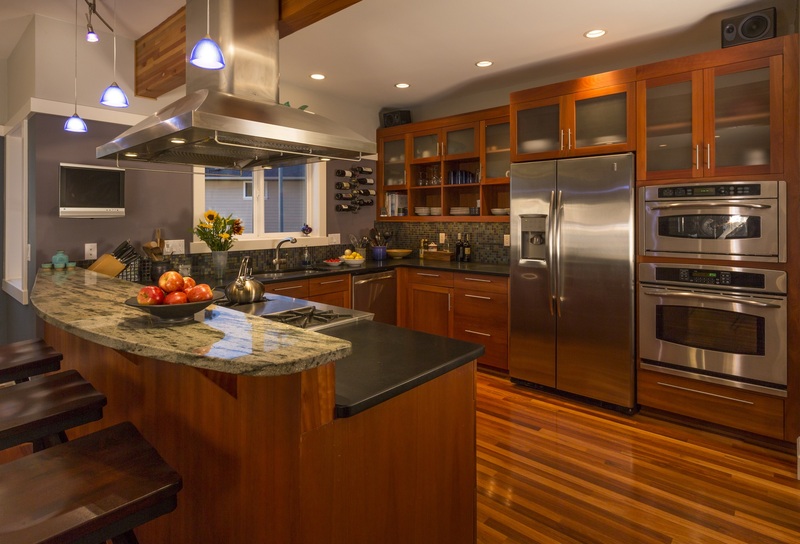 Design analysts predict that dark countertops will come back in style for 2019. Next: This style of furniture is overused. 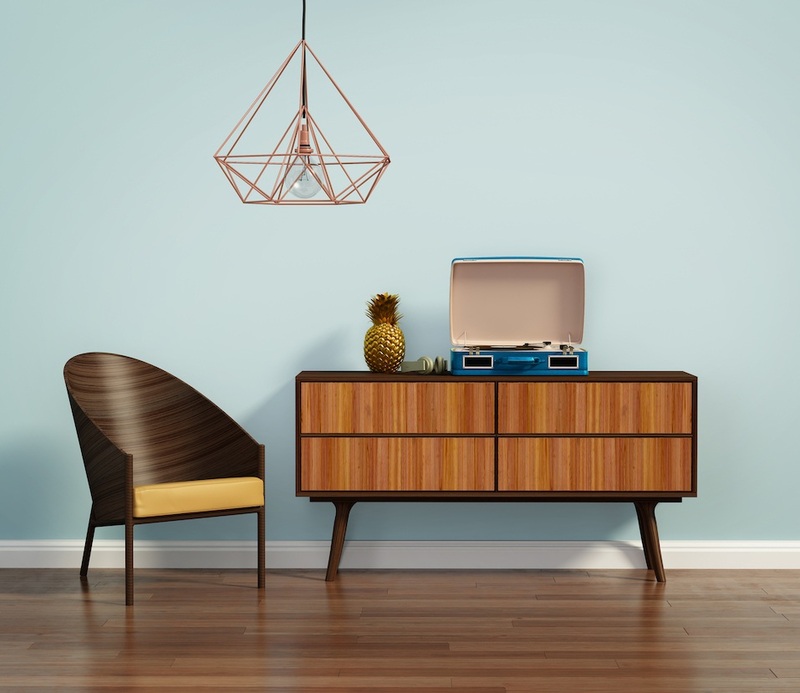 Mid-century modern fits in with the minimalist aspect that’s so popular right now. However, design experts recommend mixing different types of furniture rather than having every single piece fit into one single genre. It’s ok to intersperse those MCM chairs with something traditional — promise.